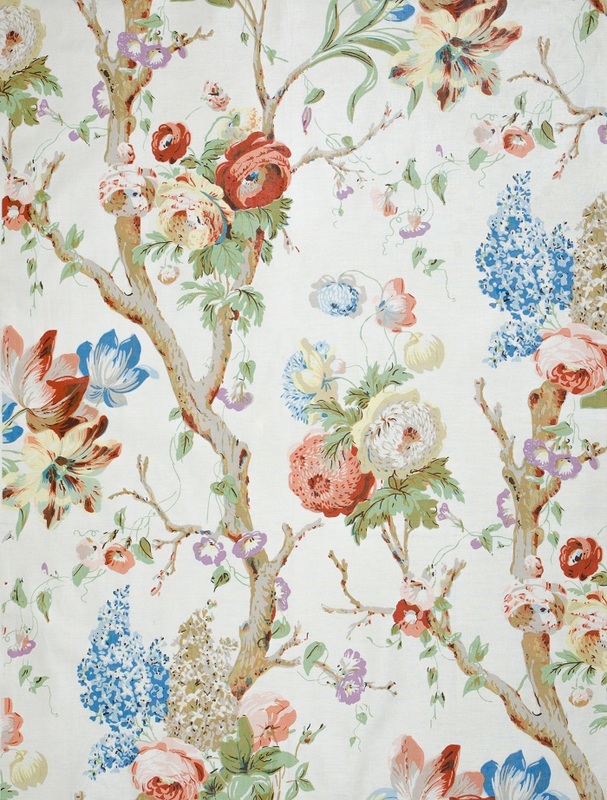 There is no better way to begin to design a room than to select a cotton beautiful chintz! The beautiful chintz above is one of the first I used while working at Parish-Hadley and has remained a favorite. There are so many ways of using it with the soft browns, peaches, greens, yellows and violet.